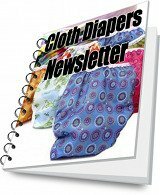 Quick dry AIO diapers are a convenient cloth diapering option. Quick dry AIO diapers, also known as AI2 (all in two) diapers, are a variation on the all in one cloth diaper with a little extra convenience built in. The quick dry all on one diaper, despite its name, is actually a two part diaper system. 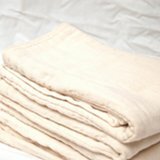 They resemble standard all in one diapers in that they work very much like a disposable diaper. The inner, absorbent layer is attached to the outer, water proof layer, so there is no folding necessary. What makes an AI2 diaper special is that, although the inner, absorbent layer is attached to the waterproof layer, it is removable (the absorbent layer is not removable in standard AIOs). This feature allows you to reuse the waterproof cover if it is not wet, use other soakers with the cover, and it also means your AI2 diapers will dry faster than standard all in one cloth diapers. 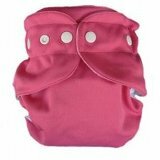 The absorbent layer lays on top of the waterproof layer and snaps in place; it is not stuffed into a pocket, which differentiates AI2s from pocket diapers. 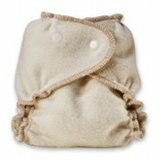 Quick dry all in one diapers are a good option for caregivers who are not accustomed to using cloth diapers, and for changing on the go. Simply assemble the diapers (snap the absorbent layer to the waterproof layer, which is easier than stuffing a pocket diaper) immediately after you wash them, so they are stored ready to go, and you will be able to avoid any folding or other prep work at each diaper change.